If you’ve ever talked about your weight, you’ve probably heard the term metabolism. If you’re overweight, you may have even cited your “slow metabolism” as the cause. In fact, you may even have wondered what your metabolism is exactly. In order to understand how our bodies gain weight, it is important to understand what a metabolism is, as well as what it does. 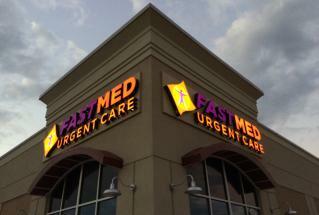 FastMed Urgent Care can provide you with information about your metabolism and on proper methods to lose weight. It may come as a surprise that your metabolism is rarely the cause of excessive weight gain. So, what does it do? According to the Mayo Clinic, your metabolism is the process by which your body converts what you eat and drink into energy. During this process, calories in food and beverages are combined with oxygen to release the energy your body needs to function. The number of calories your body uses to carry out these basic functions is known as your basal metabolic rate. In addition to your basal metabolic rate, your food processing and physical activity also determine how many calories your body burns each day. Although it is common for people to blame their metabolism for weight gain, it is rare that a slow metabolism is truly the culprit. Weight gain comes from eating more calories than you burn, so in order to lose weight, you have burn more calories than you eat. What is your metabolism? Quite simply: it’s your body’s mechanism to create energy. If you have further questions or are overweight and struggling to find the right weight loss program for you, visit FastMed Urgent Care. We have several family practice locations in North Carolina that offer weight management services. We will provide you with the tools and guidance you need to change your lifestyle, lose weight, and become a healthier you.